Miley Cyrus is hitting the campaign trail in support of Hillary Clinton by going "dorm to dorm" to encourage college students at George Mason University in Fairfax, Virginia, to get out and vote on election day. Cyrus previewed her appearance on Twitter Friday night. "OMW 2 VA 4 HC!!!! @HillaryClinton #imwithher," she wrote alongside a collage of herself posing in front of a jet. 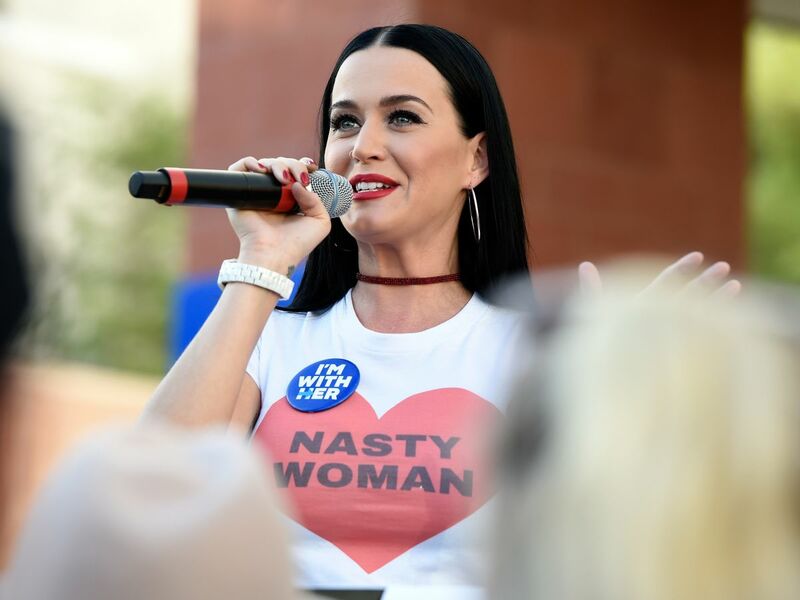 Singer Katy Perry also hit the campaign trail for Clinton in Las Vegas on Saturday, while wearing a T-shirt featuring the words "Nasty Woman," a reference to Trump's controversial remark made towards Clinton during last week's final debate.